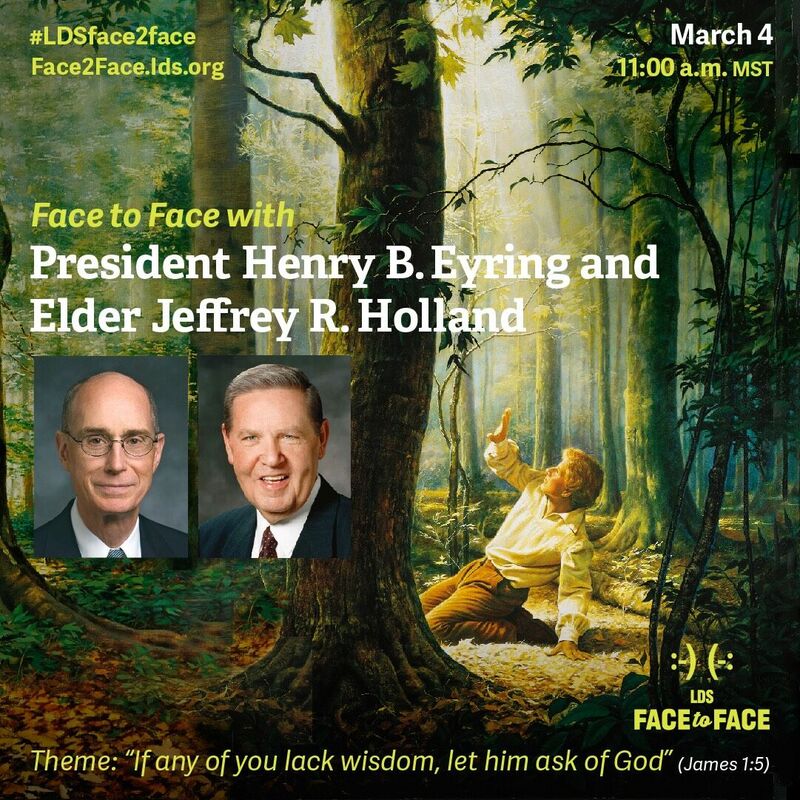 Did you know that President Henry B. Eyring and Elder Jeffrey R. Holland will answer questions from youth around the world during a live Face to Face event? HOW (can I watch it)? : Here are a few options: LDS Youth Instagram livestream, LDS Youth Facebook page, YouTube, & LDS.org (on homepage). BONUS: Ten minutes before the event, an exclusive world premier video of the First Vision will be shown called, “Ask of God.” The video will be available to download and share following the event. 1. Submit your questions to this link. You are invited to consider what questions you would like to ask and share them on face2face.lds.org or on other social media channels using #LDSface2face. 2. Follow the LDS Youth Instagram page which will livestream the event (they will also have exclusive behind the scenes of the Church History Sites all week). All youth and their friends, leaders, and parents are invited to participate in this live, interactive question and answer session. This entry was posted in Youth and tagged Elder Holland, Face to Face, LDS, President Eyring on March 2, 2017 by Melanie Day.